Half Rocket, Half Balloon…. For when you don’t want to have to decide between “Old Fashioned” and “Space Age.” It’s the best of both worlds! This is why I love Science. Leave it to the Europeans! I wish them luck with that. I’m talking about true synergy… taking two things and making them work better together. For example, two different approaches to cut the cost to put things in space. 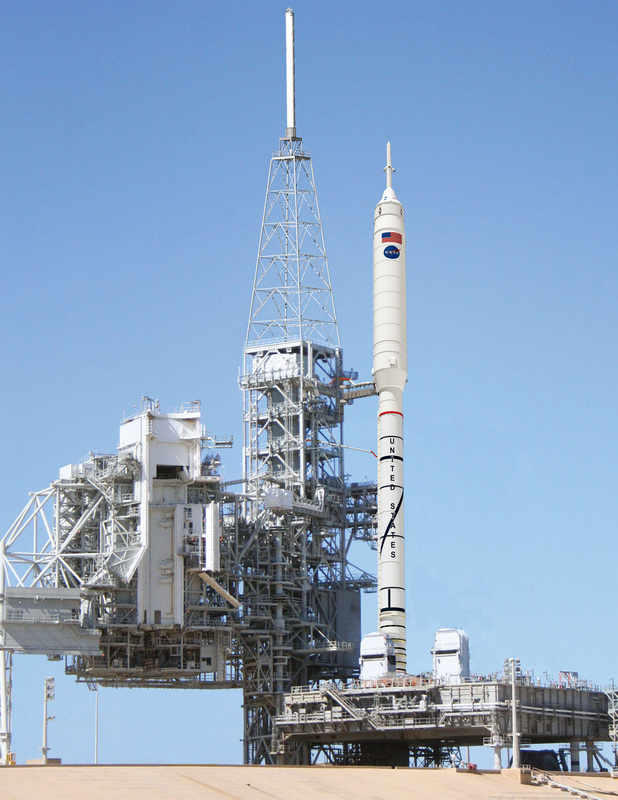 Traditional rockets use multiple sections (generally three) to put payloads into space. All three are usually disposable. They don’t come back. They are used up and a total loss. It’s relatively easy to do and you can get a lot of cargo (comparatively) into space because you drop off the heavy stuff as you go. Enter a bunch of guys wanting to do things in new ways. Prior to the past decade, you were pretty much S.O.L. if you weren’t with NASA. The US gov’t just didn’t let any “unauthorized vendors” (ie those who weren’t NASA contractors and paid a lot of money to politicians) into the game. Then in one of the few things I agree with him on, President George Bush Jr opened up some “X Prizes” for competitions by anyone who wanted to give it a shot. The result has been a succession of brilliant ideas, some harebrained and some outlandish. However, they’re creative, cheap and they’ve WORKED so far by and large. SpaceX for example just delivered their THIRD payload to the International Space Station on time, under budget and at a fraction of the cost of the “approved vendors” of years before. Not that they aren’t fighting back…with more lobbying money and regulations of course. But, the cat is out of the bag. Innovation is again happening in America… and in space! As I was saying, there are other ideas to reduce the cost to space. One is a reusable first stage rocket. SpaceX is pushing this technology. It’s tricky, but they want the rocket to basically fly back to the launch bad and land the opposite of how it took off. Stratolaunch wanted to save money on the launcher too, but their idea was to use an airplane to fly the two other stages into the upper edge of the atmosphere and then fly it back down. For this, they went to SpaceX to develop the 2nd and 3rd stages. 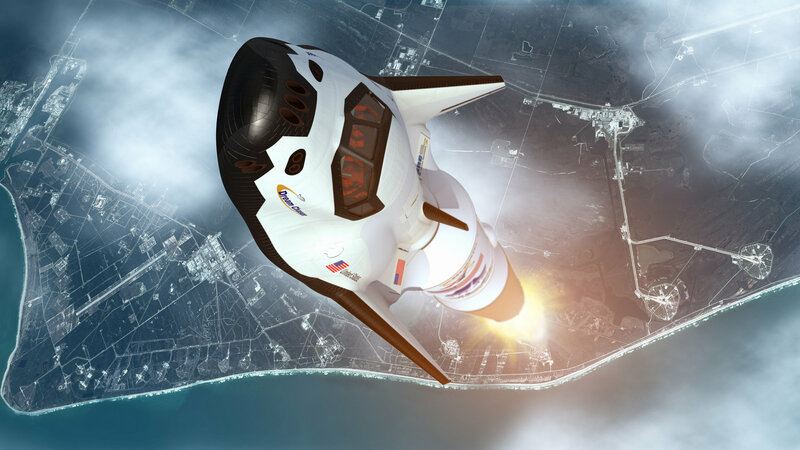 A company called Sierra Nevada designed the “Dream Chaser” on the opposite principle. They wanted to make the LAST stage reusable, basically like the shuttle part of the space shuttle. The first two stages would be used up and the third would land like an airplane. Neat, right? It’s a lot LIGHTER than the Space Shuttle too, so it doesn’t have such high temperatures on re-entry. It should be a lot safer than the ill-fated Challenger and Columbia missions. You can probably guess what happened next, given that these companies all have bases near one another out in the deserts. Most are based in Arizona or across the border in California. They start tossing ideas around. Investors got interested. And then… viola! 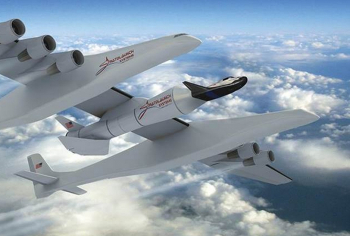 So now there is a design for a Stratolaunch/SpaceX/Sierra Nevada hybrid. The second “SpaceX/Falcon” stage launches. 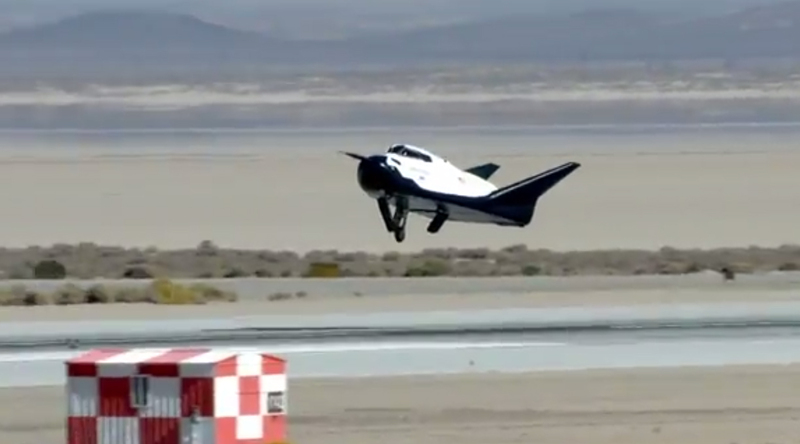 Finally the Dreamchaser flies the rest of the way to the Space Station and then comes gliding back on its own from space to a runway landing. This plan solves both problems. Both the First and Third stages are reusable. The only part you throw away is the middle stage… and even then SpaceX might be working on a solution to that too! Unfortunately, SpaceX has by this point parted ways with Stratolaunch, but they’re still on friendly terms and often collaborate on just such system solutions. If Orbital (who is working on the middle rocket stage) runs into problems, it is logical that they’d turn to SpaceX for assistance. The rockets used can vary depending on what the customer wants. One option however could be Kerosene and Liquid Oxygen. Both are readily available at virtually any major airport. Did you know so much awesome stuff was happening out in the deserts? The companies haven’t been secret about it. Why isn’t THIS innovation and creativity by some of the most brilliant men and women on Earth being appreciated? It’s like the vision and drive for exploration of the 1950s is happening all over again and we’re too busy with petty crap to notice. SpaceX’s owner Elon Musk has famously made the claim that he only got into building rockets because he wanted to retire on Mars and no one else was planning on going there. He’s promised he WILL retire on Mars. And he has a plan that just might do it! This design iss spectacular! You definitely know how to kep a reader entertained.